Buried treasure in Montana do exist. 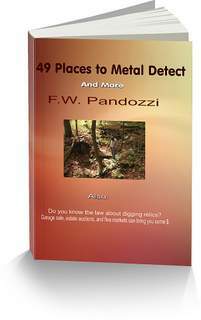 I have listed a few areas that have been rumored to hold treasures. However, I cannot promise that this information is completely accurate. As treasure tales go, because they have been passed down through many years, certain elements of the lost treasure story may have been altered, either intentionally or otherwise. Good luck! And have fun in your search for buried treasure in Montana. The ghost town of Bearmouth, located approximately 6 miles north of another ghost tow, Beartown, may hold treasures of gold buried by the old miners who lived there. A story has been told about treasure hunters finding buried treasures of gold nuggets in 1964. The Gold Treasure of Phillipsburg, is a story about a prospector in 1873 burying fifty pounds of gold nuggets in a tin can because he was being attacked by Indians. Apparently he buried the can of nuggets in the soft mud, but after his fight with the Indians he went back to recover his cache but was unable to locate the spot. The cache is suppose to be on the banks of the Flint River, approximately 2 miles south of Phillipsburg. Henry Plummer, the outlaw, just before he was hanged, told authorities that he buried $650,000 in gold bullion somewhere on the banks of the Missouri River near Haystack Butte, close to Choteau. William Kittering,.a wealthy businessman and rancher during the depression, buried $35,000 in gold coins on one of his properties in Fort Peck. A man named Flemming, who was a gambler, buried approximately $40,000 in gold coins he won while playing poker. The cache was supposedly buried beneath his cabin on Bell River, approximately one mile northwest of Monarch. Apparently his cabin was gone years ago. Buried treasure in Montana may be located in ghost towns.